PG - for some rude humor, mild action and thematic elements. 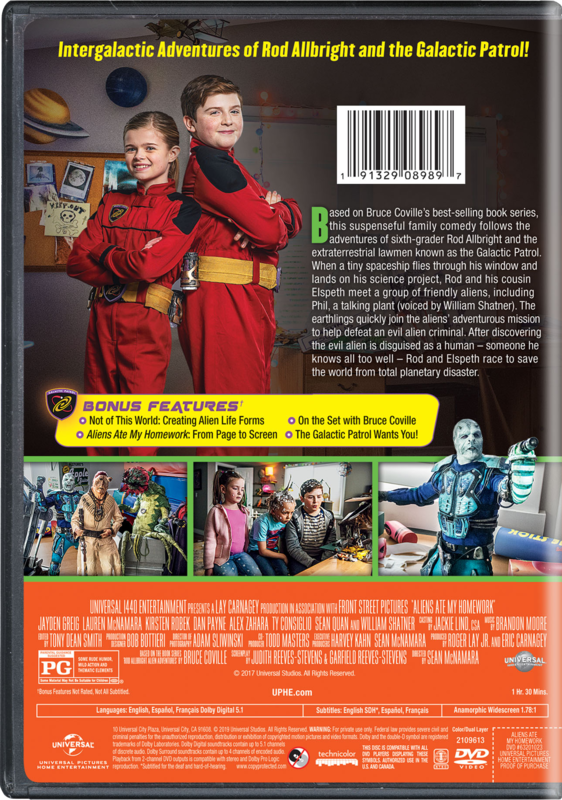 Based on Bruce Coville's best-selling book series, this suspenseful family comedy follows the adventures of sixth-grader Rod Allbright and the extraterrestrial lawmen known as the Galactic Patrol. When a tiny spaceship flies through his window and lands on his science project, Rod and his cousin Elspeth meet a group of friendly aliens, including Phil, a talking plant (voiced by William Shatner). The earthlings quickly join the aliens' adventurous mission to help defeat an evil alien criminal. After discovering the evil alien is disguised as a human - someone he knows all too well – Rod and Elspeth race to save the world from total planetary disaster.